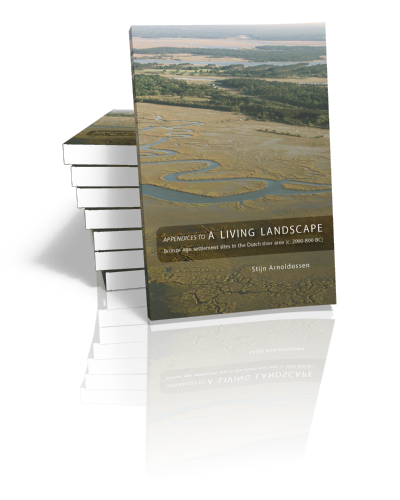 This publication contains the six main appendices to the PhD thesis ‘A Living Landscape. Bronze Age settlement sites in the Dutch river area (c. 2000-800 BC)’ by Stijn Arnoldussen which was published by Sidestone Press in 2008. That study entails an analysis of the nature (i.e. the constituent components) and dynamics (i.e. diachronic approaches to settlement dynamics) of Bronze Age settlement sites in the Dutch river area. It aims to integrate and synthesize interpretations of Bronze Age settlements based on a number of large-scale excavations in the Dutch river area. The discussion of the archaeological and geological research histories for these investigated sites, as well as more detailed source criticism and long-term overviews of the occupation histories of six (c. 30 km2) macro-regions around them, could – for sake of conciseness – not be incorporated into the main study’s text. However, such discussions contain critical information necessary to correctly interpret the results of these excavations and to evaluate their representativeness. Therefore, it was decided to make this information available separately in this publication. 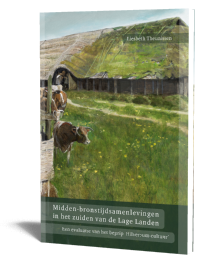 While these texts are primarily appendices to the PhD study referred to above, they can be read separately by those who are particularly interested in the results – thus far published nearly exclusively in Dutch – of the excavations at Zijderveld, Rumpt – Eigenblok, Wijk bij Duurstede, Meteren – De Bogen, Lienden – Kesteren or Dodewaard. In addition, the appendices provide a recent overview of the palaeogeographical development and occupation history of six large macro-regions in the Dutch river area. This information may be of relevance to those studying other sites within these macro-regions for the period under study (c. 2000-800 BC). 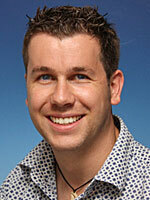 Stijn Arnoldussen studied prehistory of northwestern Europe at Leiden University and won the ‘W.A. 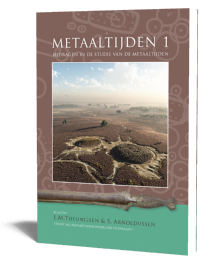 van Es’ award for the best Dutch archaeological MA thesis. 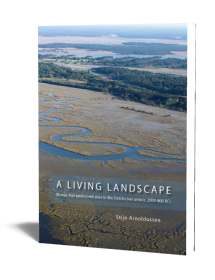 From 2003 to 2007 he was involved in a research project that focused on the Bronze Age cultural landscape in the Dutch river area, resulting in his PhD thesis A Living Landscape. After working for several years as a senior researcher with the Dutch National Service for Archaeology, Cultural Landscape and Built Heritage (RACM, now RCE) he is currently employed as a lecturer in later prehistory at the University of Groningen.